We love easy shrimp recipes like Shrimp Tempura, Easy Honey Garlic Shrimp, and Kung Pao Shrimp and this Pesto Shrimp is no different. 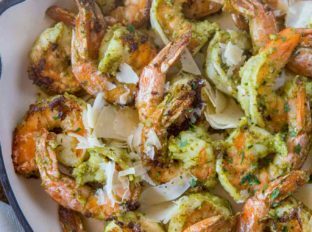 Pesto Shrimp is a “pantry” recipe you can keep in your back pocket for anytime you need a 15 minute meal. If you have a favorite Pesto recipe (see below) or love your favorite jarred variety you just need a few minutes and you’ve got an easy dinner or the beginning of a fantastically easy pasta recipe. 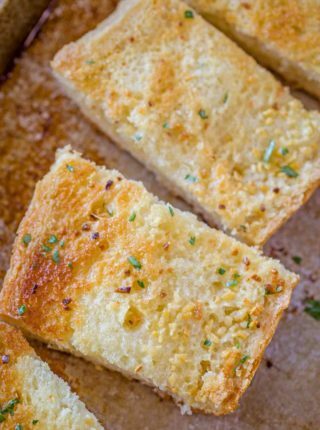 Let’s discuss the ways you can enjoy this recipe. Marinate the shrimp in the pest for 15 minutes and skewer the shrimp onto a soaked wooden skewer. Since the shrimp will cook in just 1-2 minutes on each side you can also skewer cherry tomatoes on the skewer to add more freshness and flavor to your skewers. If you would like to serve over pasta the charred tomatoes also add a great flavor addition to some pesto pasta. Once the shrimp is done marinating add the shrimp in a single layer on a sheet pan and bake in a pre-heated 425 degree oven for 5 minutes before tossing with some shaved Parmesan cheese and serving. Once the shrimp is done marinating add the shrimp to a hot skillet and cook for 1-2 minutes on each side before removing it from the pan. Add in the remaining pesto that you added to the shrimp along with 1 cup seafood or chicken broth, 1/2 cup heavy cream and 4 ounces of cream cheese. Stir the mixture until thickened and creamy before adding the shrimp back into the pan and garnishing with Parmesan cheese. 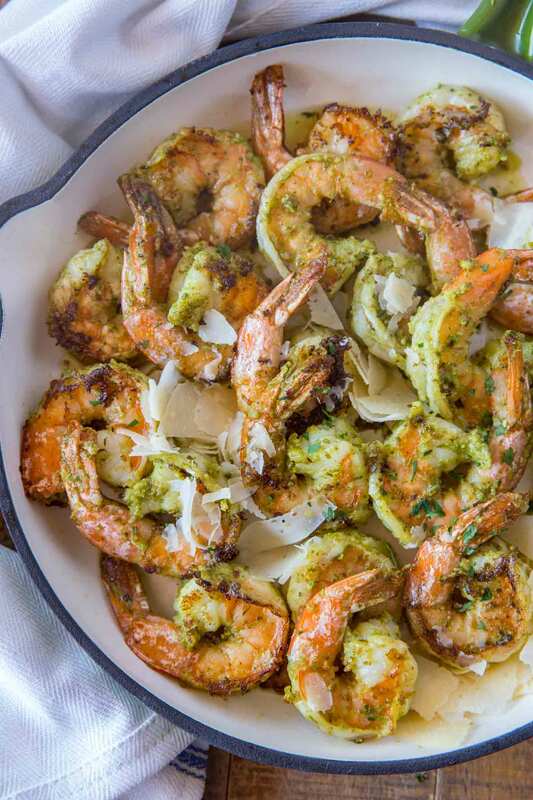 What to serve with Pesto Shrimp? We love enjoying this shrimp with Garlic Bread, Olive Garden Italian Salad, and Rainbow Roasted Vegetables. Add the pine nuts to a small pan on medium heat and let toast until you can just smell them. Add all the ingredients to a small food processor until smooth. Can you freeze Pesto Shrimp? YES, but don’t freeze it after cooking. Add the pesto to the shrimp with a bit more olive oil in a large ziploc bag and make sure you squeeze out all the air before closing the bag and freezing. When ready to cook just defrost fully submerged in cold water for 1 hour before cooking the shrimp. Can you swap the shrimp for chicken? 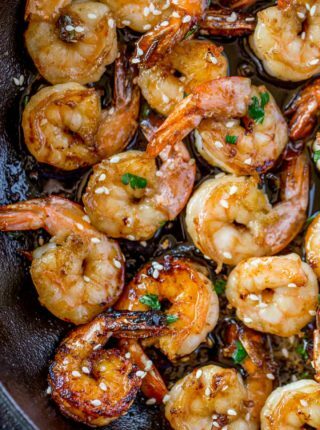 Yes, you can absolutely swap the shrimp for chicken, scallops, fish or pork. If you’re using chicken make sure you score the chicken through the fat or through the coating on boneless skinless chicken breast so that the marinade can flavor more of the chicken. If you use fish or chicken instead of shrimp make sure you cook it on a high heat for just a few minutes on each side. If you can cook it in the oven instead of the skillet it’ll keep the pesto from getting overcooked. Oh, my! Those shrimps look so delicious. 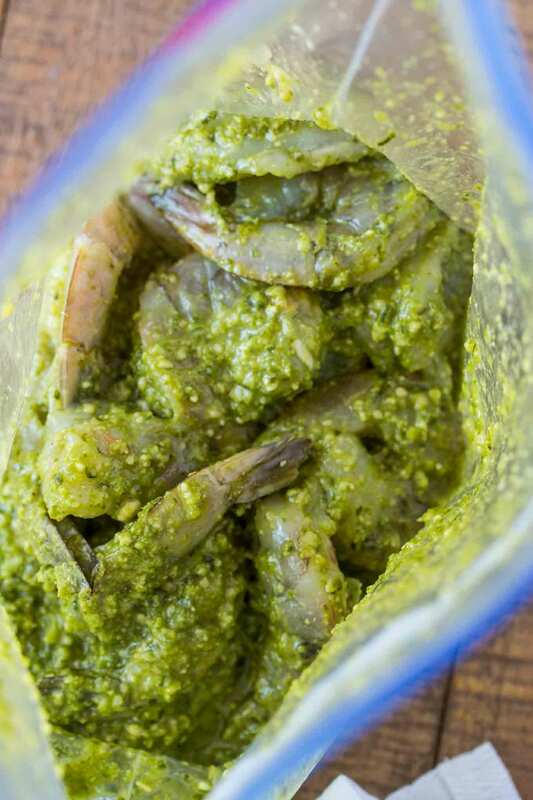 I love pesto on anything and I live for shrimps, can’t wait to try this recipe! Wow! 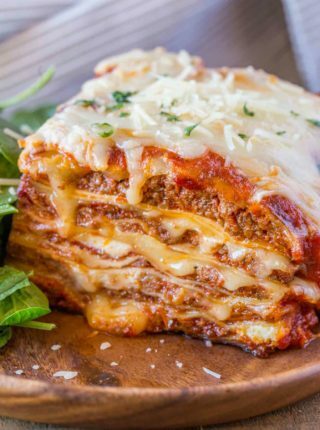 This looks incredibly delicious! Can’t wait to try it! I can’t even tell you how amazing these look! I need them right now! 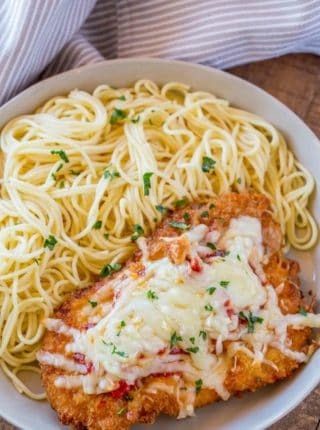 Going to get some shrimp, and make this tomorrow. Sounds like something my family will love. I’ll serve the shrimp over angel hair pasta, with a great big tossed salad on the side. YUM! Sounds perfect! What time do you want me over for dinner, haha? So yummy! 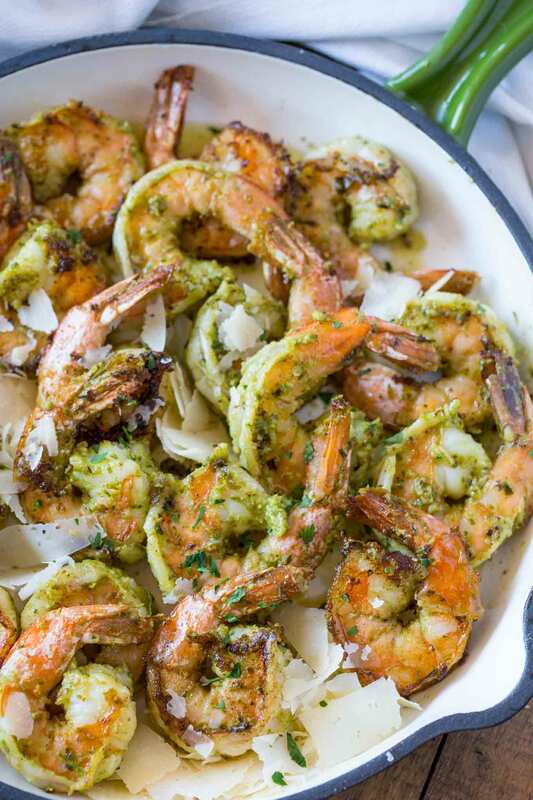 Pesto and shrimp is such a good combo! This shrimp looks incredible! I’ve been hungry for shrimp lately! Now I have a new recipe to use! Thanks! You’re welcome Liz! I hope you enjoy it!